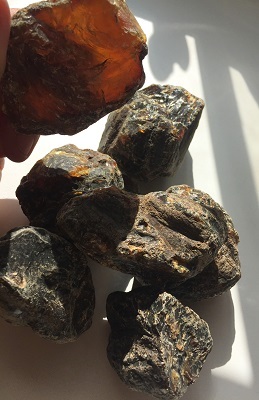 Beautiful natural larger sized black Amber from Indonesia. 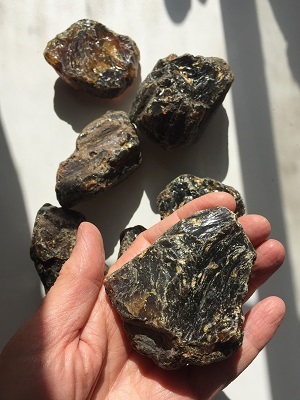 Amber is a tree resin that solidified and became fossilized. Amber is a grounding stone for higher energies. Amber cleans the environment and the chakras. Amber absorbs negative energies and transmutes them into positive forces that stimulate the body to heal itself. 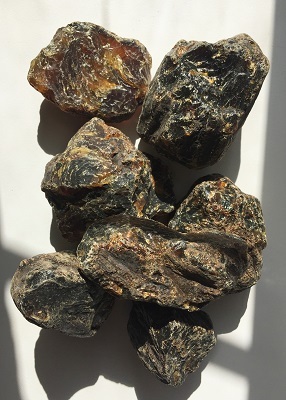 Amber is said to absorb pain and facilitates the re-balancing of energies and promotes healing. 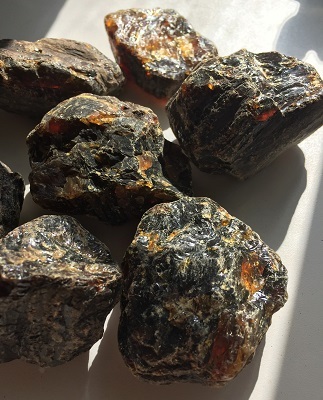 Amber resonates with the throat chakra, and may be helpful in the treatment of goiters and other throat problems.